CMFBOAK NFL Team: Oakland Raiders Features: -NFL collection. -Keeps beverages colder than other freezer mugs. -Eliminates the need for ice. -Keeps drinks ''crushed ice'' cold for hours without the watered down affect of ice. -Place in freezer one hour or more prior to use. -Filled with non toxic, re-freezable crystals. Product Type: -Beer/Pilsner glass. Capacity: -16 Fluid Ounces. Theme: -Sports. Service Size: -1. Function: -Casual. Primary Material: -Crystal. Vacuum Insulated: -Yes. Handle Included: -Yes. Dimensions: Overall Height - Top to Bottom: -6". Overall Width - Side to Side: -3". Overall Depth - Front to Back: -2". Overall Product Weight: -1.5 lbs. FC BARCELONA SHORT BEER MUG - GLASS MUG WITH THE FC BARCELONA CREST IN FULL COLOR - BUY THE FC BARCELONA BEER MUGS FOR YOUR NEXT PARTY - GET SOME MUGS FOR A FRIEND, GET SOME FOR YOU TOO! 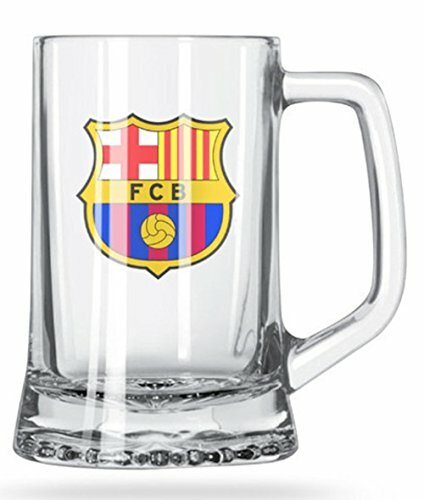 The Best FC Barcelona Beer Mug for Game Days! An authentic mug from Barca FC's official merchandise. This mug is designed for all types of beverages. 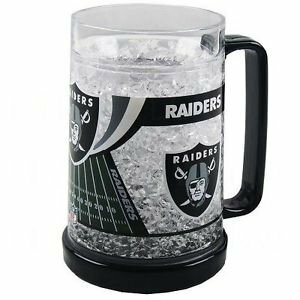 This glass beer mug can hold the perfect cold beer and other beverages on game day. Crafted with a sturdy handle, you'll love the size, feel, and look of our mug. Printed with a high quality, full color Barcelona logo and team crest, this mug is something every true league fan needs. Official FC Barcelona beer mug. 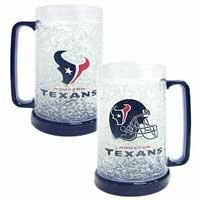 Enjoy ice cold, frosty beverages Great game day good luck charm Perfect gift for all FCB fans Collector's item. Get the gift your fans have been wanting! Click "Add to Cart" now! 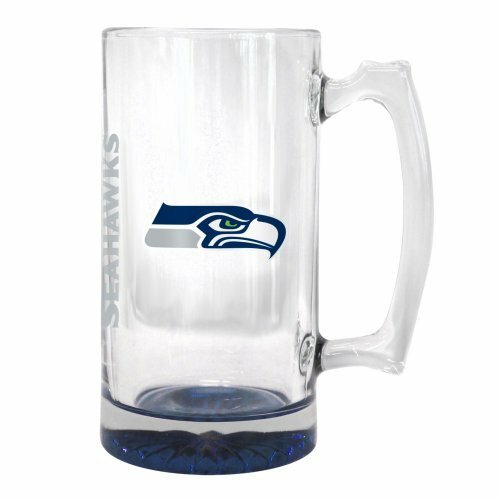 Show your team pride with Boelter Brands NFL Elite Tankard. 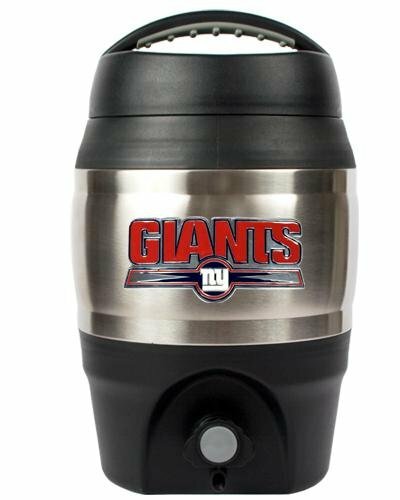 Each tankard holds up to 16-ounces of your favorite beverage and is decorated with team colored bottom spray and team logo. It also features a satin etch wordmark team logo on both sides. It is top rack dishwasher safe. This would make a wonderful gift for family and friends. CMFBHOU NFL Team: Houston Texans Features: -NFL collection. 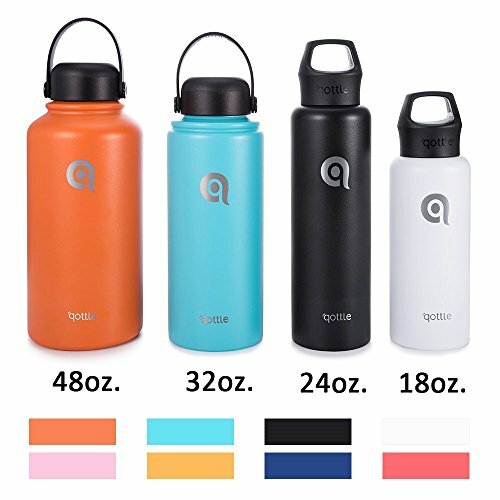 -Keeps beverages colder than other freezer mugs. -Eliminates the need for ice. -Keeps drinks ''crushed ice'' cold for hours without the watered down affect of ice. -Place in freezer one hour or more prior to use. -Filled with non toxic, re-freezable crystals. Product Type: -Beer/Pilsner glass. Capacity: -16 Fluid Ounces. Theme: -Sports. Service Size: -1. Function: -Casual. Primary Material: -Crystal. Vacuum Insulated: -Yes. Handle Included: -Yes. Dimensions: Overall Height - Top to Bottom: -6". Overall Width - Side to Side: -3". Overall Depth - Front to Back: -2". Overall Product Weight: -1.5 lbs. 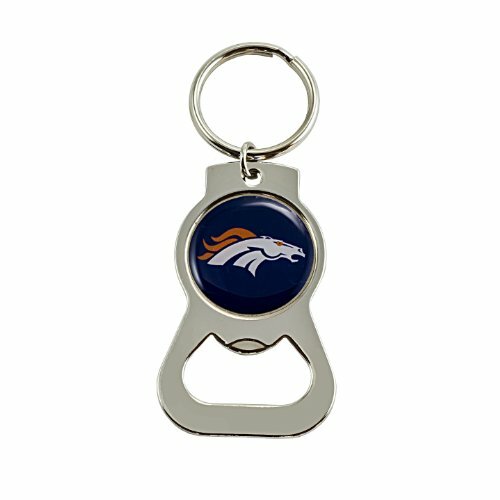 http://www.aperfectwallet.com/gshf20xx.html This is the latest in our line of authentic NFL gifts. 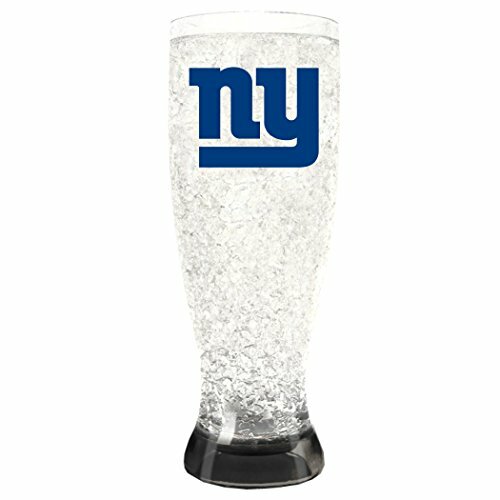 Personalize these beer glasses with up to 3 characters and the choose the pewter emblem for your favorite team. 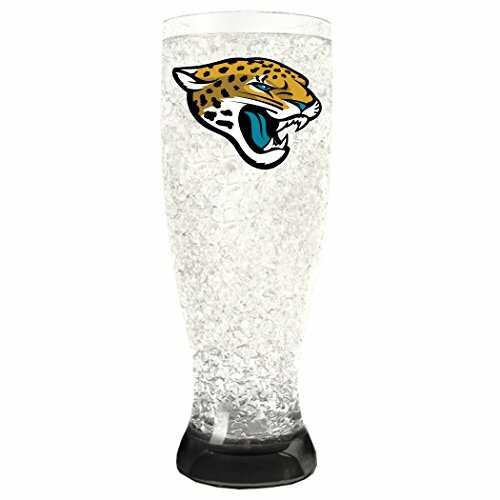 We have glasses for all 32 of your NFL Teams. 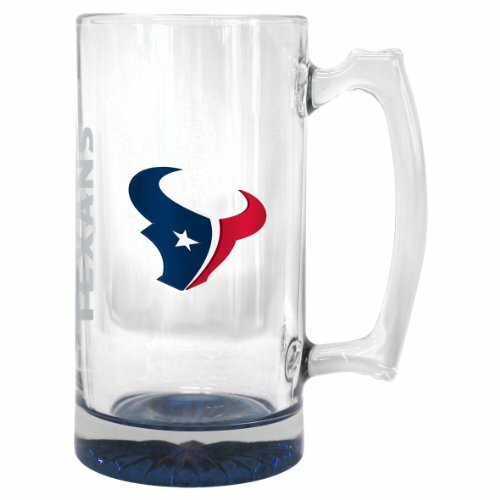 Compare prices on Sports Team Beer Mugs at ShoppinGent.com – use promo codes and coupons for best offers and deals. Start smart buying with ShoppinGent.com right now and choose your golden price on every purchase.